The development of the railway network is being carried out with high speed, as evident by news of the nation's first Green Rail Corridor on the Rameswaram. The development of the railway network is being carried out with high speed, as evident by news of the nation's first Green Rail Corridor on the Rameswaram-Manamadurai stretch. 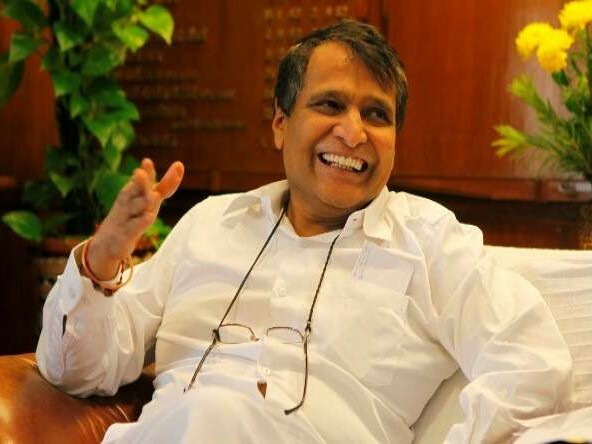 The 114 km long corridor in Tamil Nadu was inaugurated by Railways Minister Suresh Prabhu. At the time of inauguration Railway Minister Suresh Prabhu said that the ministry was committed to converting all toilets in railways to bio-toilets. He added, “During 2016-17, our target is to provide 30,000 new bio-toilets and the benefits are obvious,” he said, also stating that the initiative will bring down maintenance cost significantly. “Before end of March next year, the line to Katra will also be human waste free,” he said. He also inaugurated high speed upgraded Wi-Fi facility, set up in association with Google, at Chennai Railway Station at Tiruchirappalli through video conferencing. He stated, “I know we want to do more for Tamil Nadu, And for that, I had requested CM Jayalalithaa, one of the great leaders of the state and India, Madamji to join hands with us so that we can have a JV for development”. "The idea is that we should try to bring in high speed network to all the people of India which will help bring in a complete transformation." "Completion of trial between Mumbai and Delhi (will happen) in the next few days. If it is successful, it has been successful so far, then we will ask them to manufacture in India under PM's Make in India programme," Mr Prabhu said.